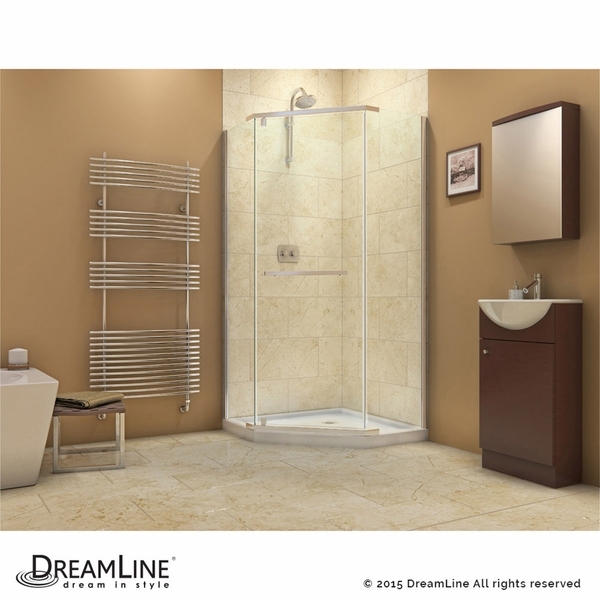 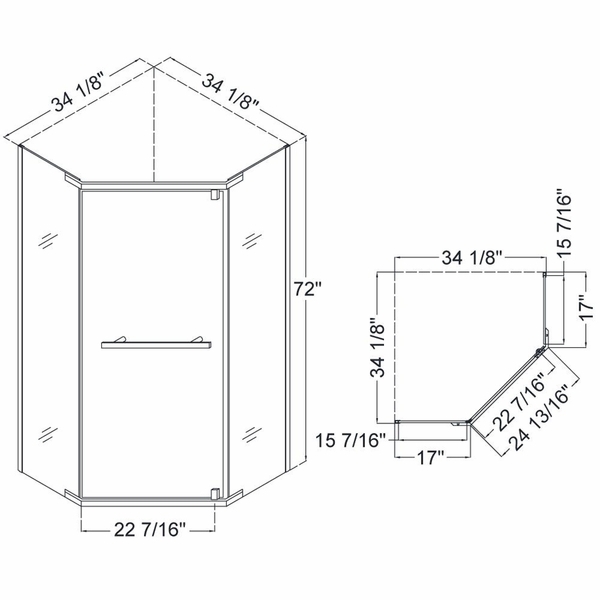 Introducing the Prism 34 1/8" by 34 1/8" Frameless Pivot Shower Enclosure from DreamLine. 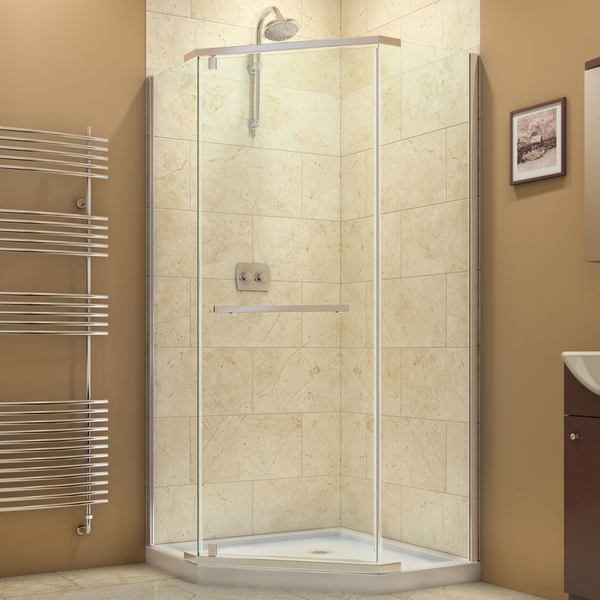 With a unique and individual design, the Prism combines high quality and style, all at a price that won't break your bank account! 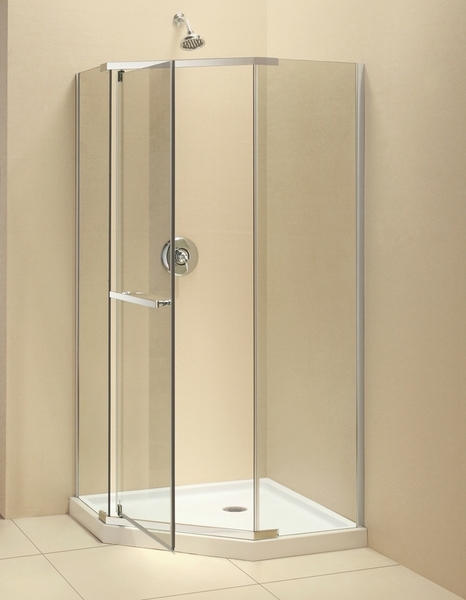 This unit is 34 1/8 inches wide, 34 1/8 inches deep, and stands 72 inches tall, and has been constructed with premium tempered glass and aluminum. 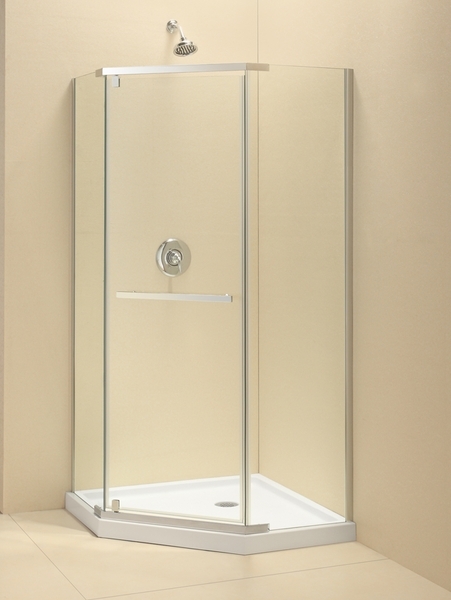 The Prism's easy to use pivot door has a full length magnetic door latch for a seal that won't leak or come open while you're showering, and delivers a generous pass through for comfortable entrance and exit.